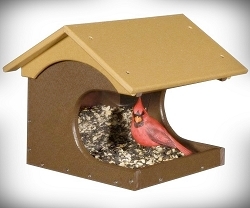 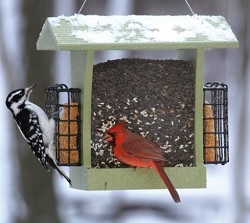 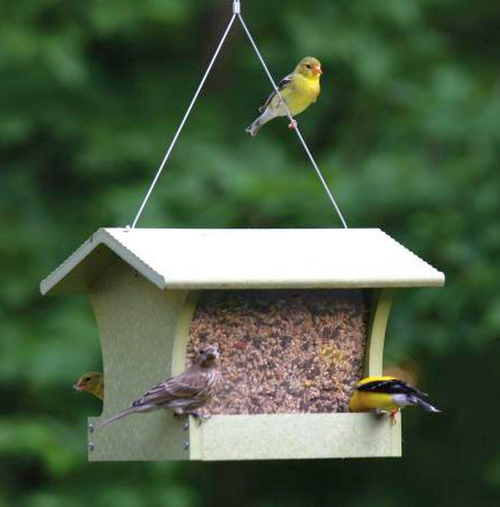 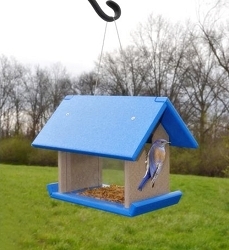 Eco-friendly recycled plastic bird feeders built to last a lifetime! 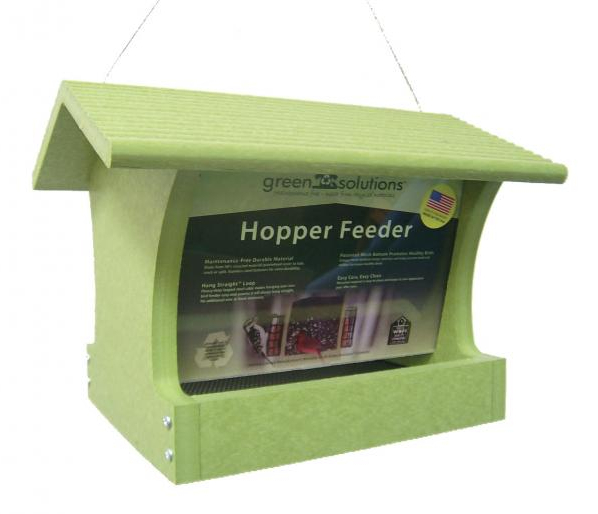 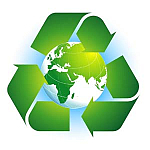 Green Solutions Recycled Plastic Medium Hopper Feeder is made from 17 plastic containers. 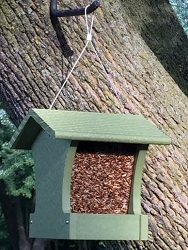 This feeder holds 3 quarts of seed. 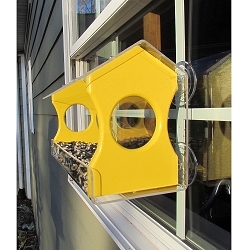 Because this bird feeder is made from durable recycled plastic, it is virtually maintenance free. 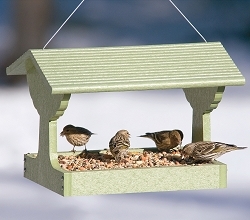 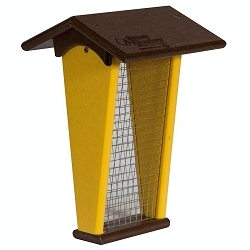 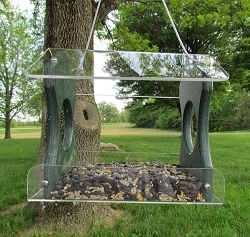 The feeder screens have rust-resistant polyester powder-coat finish so clean up is easy. 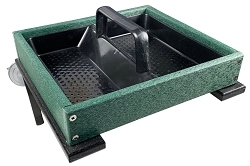 Easy Care and Easy Clean! 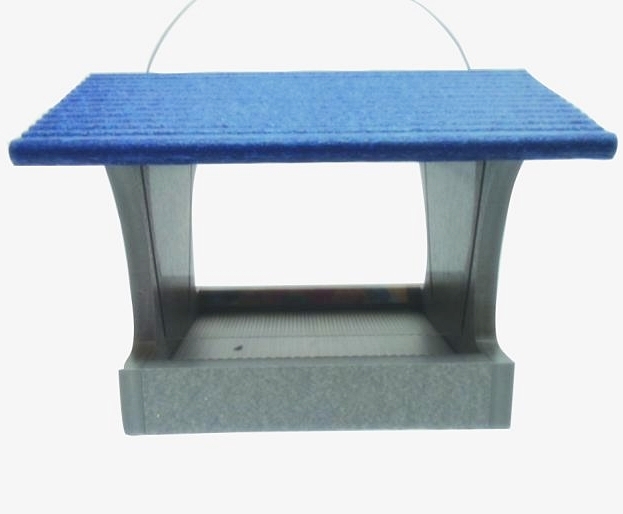 Keeps its new appearance year after year. 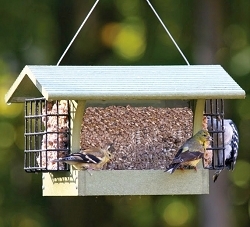 Guaranteed never to fade, crack or split. 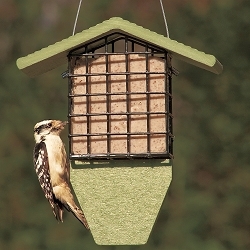 Stainless steel fasteners for extra-durability. 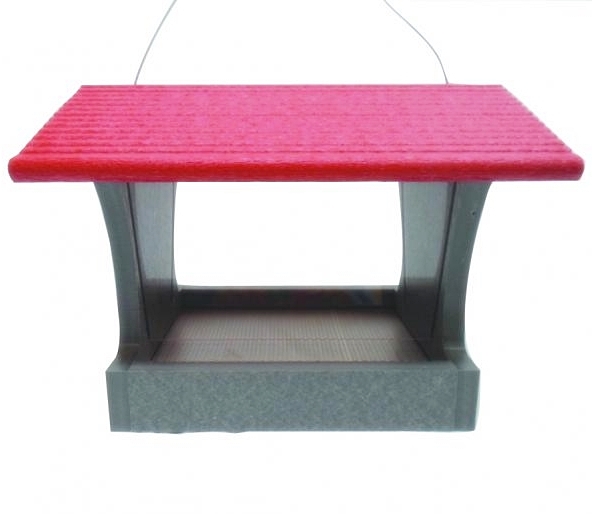 Steel hanging cable included. 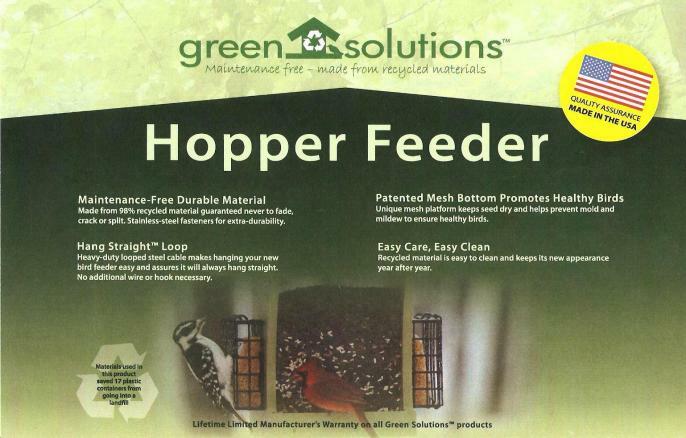 This quality feeder is proudly made in the USA! 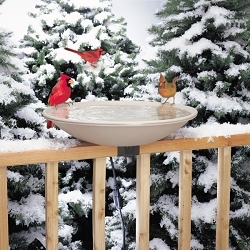 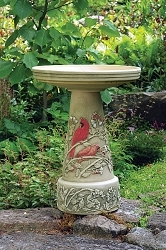 Birds attracted to this feeder include: Titmice, Towhees, Woodpeckers, Sparrows, Scarlet Tanagers, Grosbeaks, Doves, Chickadees, Cardinals, Juncos, Indigo Buntings, Jays and others. 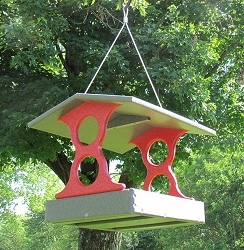 Dimensions: 8" x 8.75" x 12.62"; Weight: 3 lbs.